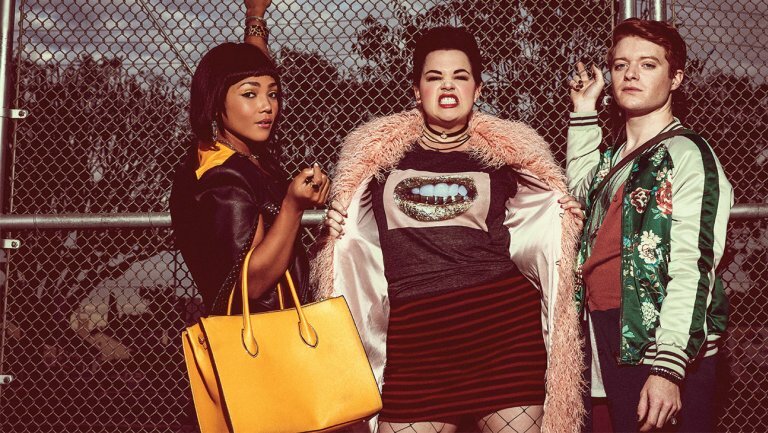 The new trailer for the Heathers reboot show that mean girls can be a lot queerer than we usually expect. Coming to the Paramount Network in 2018, the highly-anticipated reboot is a lot more diverse than it’s original source material. 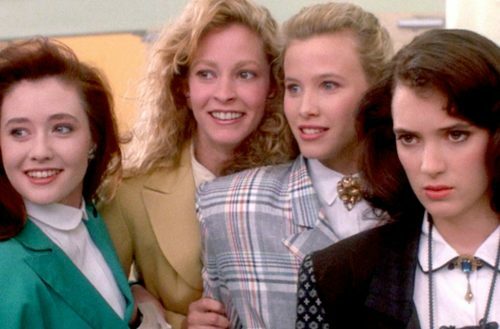 The updated version, set in present day, feature a new set of popular-yet-evil Heathers — only this time the usually type-cast freaks have become this high school’s royalty. Heather McNamara is a black lesbian. Heather Duke is a male who identifies as gender-queer. Heather Chandler is described as having a body like Martha Dumptruck. Melenia Field will play Heather Chandler, portrayed in the original film as a ruthless, cruel leader of the Heathers who runs the school’s popular set with an iron fist. The role was originated by the late Kim Walker. Brendan Scannell is playing a gender-flipped take on Heather Duke, who in the original film was a bookish, bulemic sycophant and second-in-command of the Heathers. The role was originated by Shannen Doherty. Jasmine Mathews will play Heather McNamara, a weak-willed cheerleader who emerges as surprisingly sympathetic late in the film. The role was originally filled by Lisanne Falk.